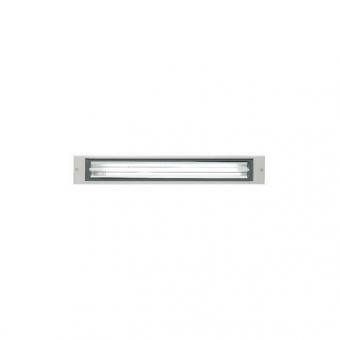 Recessed linear luminaire for outdoor/indoor installation in ground or ceiling. 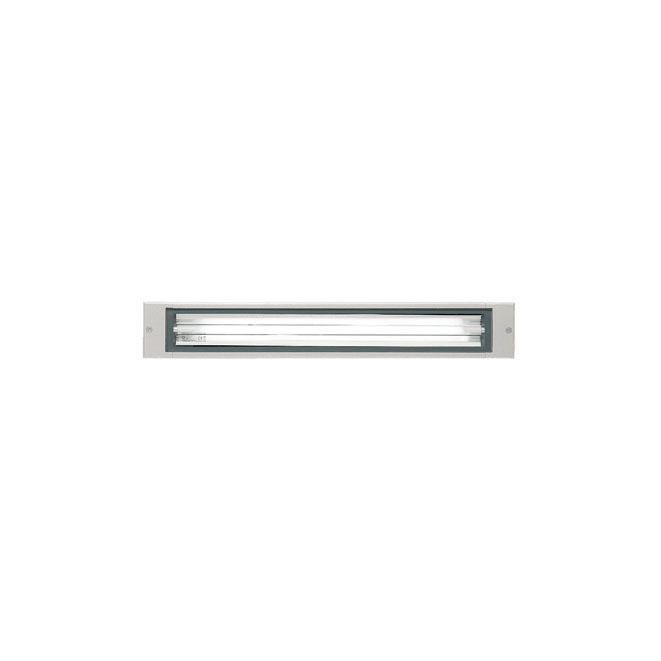 Die-cast double closing end on each side allowing easy and safe maintenance, moulded silicone gasket, 8mm thick tempered transparent or sandblasted glass with silkscreen border mechanically fixed to the body by a silicone adhesive.Electrical components are installed on a removable frame. Installation: wiring through two plastic M20 cable glands (5<13mm cables) placed on one of the two closing ends where a plastic box allows connection to the removable electric module. Outdoor use requires suitable flexible cables assuring he watertightness of the cable gland. Installation requires a dedicated box to be ordered separately. It is important to prived >200mm gravel layer or a drain system (for concrete surfaces) to ensure good drainage and to avoid water stagnation.